Young Communicators from the Ghana Institute of Journalism (GIJ) on Friday 16th November,2018 defeated their counterparts from the University of Professional Studies Accra (UPSA) in an Inter School Club Debate Competition. The debate which was organized and held at UPSA by Crystal Capital, an Investment firm required students from both School to debate on the topic “Investing is a waste of time”. After locking horns in a fierce intellectual argument, students from Crystal Investment Club – GIJ Chapter [who spoke against the motion] were adjudged winners of the competition. The debaters from GIJ pulled 136 points against Crystal Investment Club – UPSA Chapter [who went in favor of the motion] with a score of 89 points. In presenting Certificates of Excellence to the participants, Head of Corporate Affairs at Crystal Investment, Makafui Honya Congratulated the winners for exhibiting excellence and maturity. The winners, Edem Divine Dei-Tutu and Loretta Odame-Marfo from GIJ were both awarded certificates, souvenirs from sponsors and GH¢100.00 Crystal Entrepreneur Investment packages. 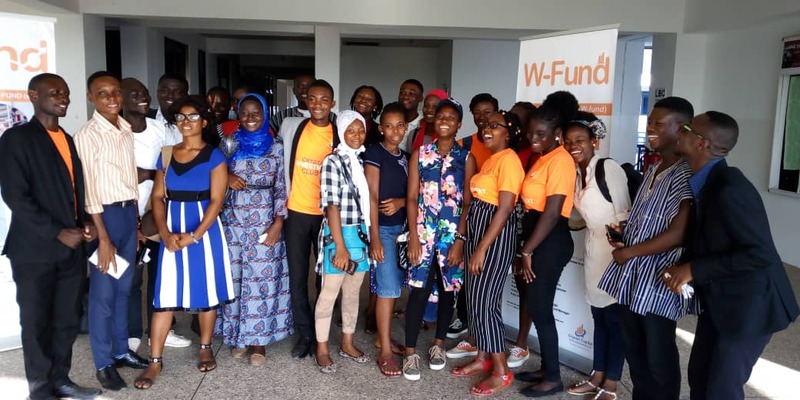 Emmanuella Mensah and Opoku Ware Nana Ampomah who represented Crystal Investment Club – UPSA Chapter also received Certificates, souvenirs and GH¢50.00 Crystal Entrepreneur Investment packages. Crystal Investment Firm is a financial institution in charge of growing the future entrepreneurs through the Inculcation of investment culture among the youth especially tertiary students. Currently, C.I.C. has Chapters at the Ghana Institute of Journalism (GIJ), University of Cape Coast (UCC), University of Ghana (UG), University of Professional Studies Accra (UPSA), University for Development Studies (UDS), Accra Institute of Technology (AIT), Ghana Technology University College (GTUC), Lancaster University, Knutsford University, Islamic University and Ho Technical University (HTU).